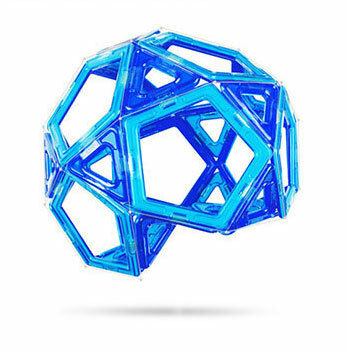 Magformers helps children realize their latent potential by nurturing a ‘3D Brain’ capable of deep, multifaceted thinking. 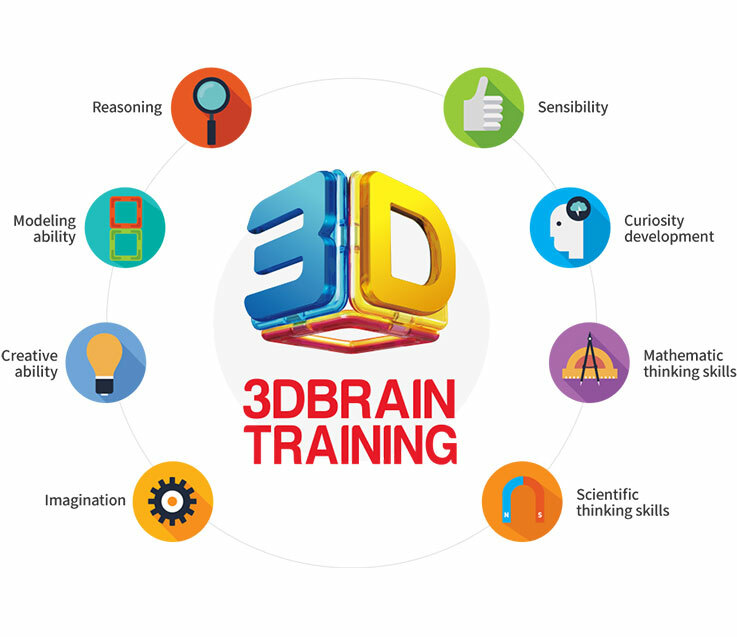 ‘Magformers 3D Brain Training’ helps develop a three-dimensional brain that organically interlinks and balances the eight essential mental capabilities of sensory development, modeling, creativity, curiosity, mathematical thinking, imagination, scientific thinking and reasoning. Practice fine motor skills and stimulate brain development by touching and assembling different Magformers pieces. Develop sensory abilities by interacting with various colors and sounds. Improve modeling skills by working with magnetic blocks. Enhance understanding of three-dimensional configurations and develop creative instincts while creating three-dimensional figures. Magformers stimulates child curiosity by encouraging them to independently create various structures during creative play, thereby giving them a sense of accomplishment. Develop quantitative reasoning skills by exploring concepts such as space, portions and wholes, patterns, and two-dimensional shapes. Expand the limitless imagination of children by connecting and assembling various blocks to construct original structures. Improve scientific reasoning capabilities by using the properties of magnets to create various structures. Improve reasoning faculties by visualizing and turning informational pictures in two-dimensional booklets into three-dimensional figures.